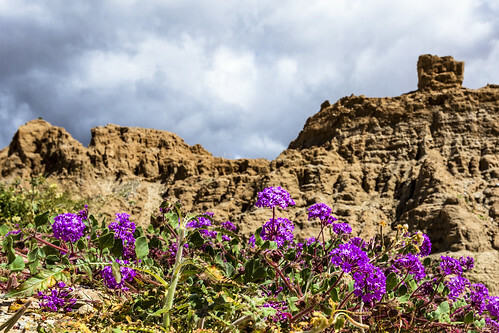 Desert sand verbena (Abronia villosa) in the foreground and some badass badlands in the background. I shot this in a more secluded and less-traveled area of Anza-Borrego Desert State Park on March 12, 2019. This park is over 600,000 acres in size. While I've been frequently visiting it for many years, I'm still exploring and finding "new" areas.